Welcome to your monthly edition of Something for the Weekend! You’d be hard pressed not to see people on your daily commute to work that aren’t wearing a pair of headphones or ear buds. Creating our own habitable zones where we can zone out, get psyched up or just block out the humdrum of the ambient noise around, headphones have come a long way since the early versions of flimsy plastic and itchy foam covers. We are now treated to active noise cancellation, superior comfort from memory foam cushions or multiple tips for ear buds to get that super snug and comfy fit. How many times have you accidentally pulled your phone off the table or had the fun of trying to cable manage your headphone wire through your clothing? Wireless is the emerging technology trend that is now setting us free from the tangle and being tethered to our devices. However, there is only so much that you can do in terms of increasing the size of drivers, refining them with new space age sounding materials and expanding battery life. What could be the next step? I hear you ask. How about real-time translation of languages? Sounds like science fiction, doesn’t it? Those familiar with the ‘Hitchhikers Guide to the Galaxy’ will recall the Babel Fish that was a universal translator placed in the ear. With the advancements in internet speeds on phones and the power in our pocket, we are able to perform complex processes thought to be science fiction by earlier generations. ‘Word Lens’ was an app that could translate in real time text using your phones camera. This app was so great that Google bought it and has since integrated it into its widely used and popular translate app. 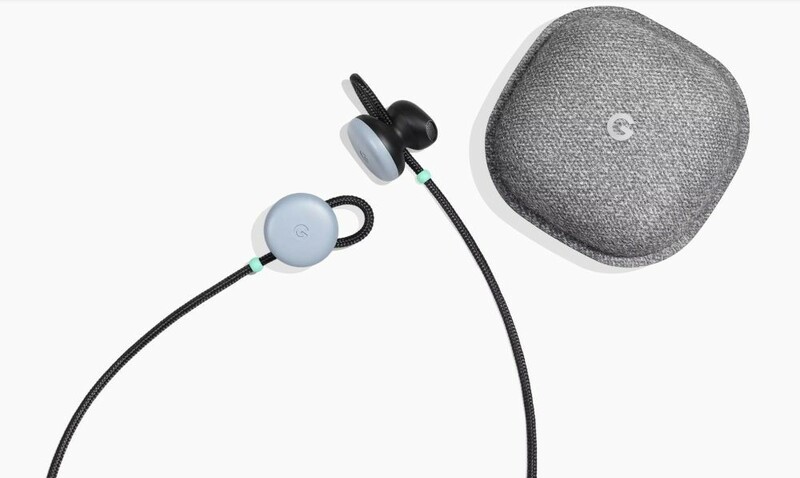 Google announced in their latest keynote launching the hotly anticipated Pixel 2 phone that there would also be a pair of wireless in ear headphones being launched too. Most people’s initial thoughts were “So what? Apple have done that with their very popular earpods!” That’s when Google announced a very unique feature that the Pixel Buds would have. Real time translation of 40 languages! In a world where we are communicating globally, holidaying in foreign countries and doing business with people from all over the world these are a very welcome addition to the tech space. For business travellers going to unfamiliar places, not knowing a language can greatly reduce your effectiveness without hiring a translator. Will these products put translators out of business? I very much doubt it for a long time. As with all emerging technologies there is an adoption and effectiveness barrier. Currently the Pixel Buds translation feature only works with the upcoming Google Pixel 2 phone. That being said the Google Assistant was only available on the original Pixel but, has since been rolled out to other devices so, I expect that the translation feature will roll out to other devices that can handle the processing requirements. Google aren’t the first to attempt this product and I’m sure they won’t be the last. Waverley Labs launched on crowdfunding website, IndieGoGo, a few years ago promising release dates of September 2016. However, here we are approaching the end of 2017 and the date has been pushed to an undefined last quarter/end of 2017. These in ear devices also require an ear piece to be worn by each user with the app being the middle man, translating as it goes. The setback for general consumers on this is having to give an ear piece to someone you don’t know when you are trying to explain if there is something wrong with your hotel room or meal. Another more hygienic route to real time translation comes from another crowd sourced product called ili by Logbar inc. This handheld device supports English to and from Spanish, Mandarin and Japanese. The videos that they have showcased are appealing to the young traveller enabling them to converse with locals seamlessly. However how seamless it will actually be upon release is speculative as all the review videos on Youtube seem to be from ili themselves which lends me to think how many takes did it require to get it working perfectly? As with all new ventures in technology there are hiccups and things aren’t as seamless as we’d like it to be. But these pioneers of the technological world are making great strides to genuinely making our life easier and the globe even more accessible which can only be a good thing.